Leeds: Casilla, Ayling (Shackleton 90+4), Cooper, Jansson, Alioski, Phillips, Klich, Roberts (Dallas 81), Hernandez, Bamford, Harrison. Subs: Peacock-Farrell, Brown, Davis, Stevens, Gotts. Bolton: Matthews, Lowe, Beevers, Wheater, Donaldson (Ameobi 74), Noone (Buckley 82), Olkowski, Connolly, O'Neil, Williams (Murphy 86), Magennis. Subs: Williams, Little, Vela, Hobbs. Leeds United recorded back to back wins in the Sky Bet Championship, to keep promotion hopes on track. It was the visitors Bolton, sitting in the relegation places who threatened inside three minutes though, Callum Connolly broke into the Leeds box from the left flank and provided a good cross, with Kiko Casilla making a fine stop to deny a Josh Magennis header. A minute later, Leeds went close from an Ezgjan Alioski free-kick. The Macedonian international’s cross headed towards goal and Remi Matthews made a good save to tip it over. Leeds were awarded a penalty 15 minutes into the game after Tyler Roberts was brought down, following a neat one-two with Jack Harrison. Patrick Bamford stepped up and made no mistake from the spot, netting his third goal of the season against the Trotters. However, Leeds’ lead lasted under 10 minutes, when at a Bolton corner, Mark Beevers slotted home, after Harrison had cleared off the line and Casilla had made a decent stop. The visitors then nearly took the lead following a free-kick. Craig Noone delivered and Magennis fired a volley just inches wide. Harrison went close when Hernandez delivered a teasing cross, but his header couldn’t beat Matthews who made a good save. Hernandez produced some magic to send Bamford through on goal with a fine through ball, but he couldn’t get the better of Matthews from a narrow angle. Bamford again went close with a strike from 20 yards, again testing Matthews, before Alioski saw a volley deflect wide on the stroke of the break. Leeds went close after the break, when Kalvin Phillips provided a neat through ball and Hernandez so nearly got on the end of it, but he was beaten to the ball by Matthews. Mateusz Klich fired over from 25 yards, before Luke Ayling when close when he was found in the box by the Poland international, but he put a curling effort just wide. At the other end, Casilla made a really good stop to deny a Joe Williams strike from 30 yards, before denying a Magennis header from the rebound. 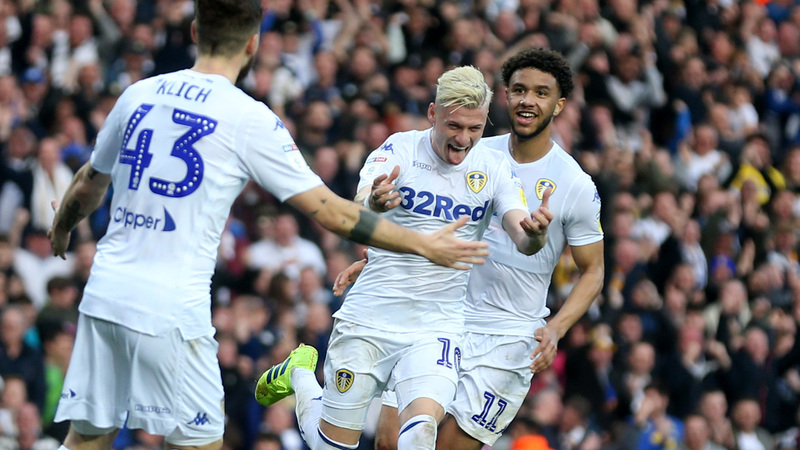 Alioski then did well to control a long ball before crossing from the left, Hernandez flicked it on to Bamford, but he could only put the chance wide. Leeds did get the breakthrough in the 68th minute in unusual fashion, an Alioski deflected cross headed goalwards and caught out Matthews who could only parry it down onto the bar and in, to the delight of the Elland Road crowd. In the 72nd minute things got heated after Alioski was fouled, with Williams and Magennis booked for the visitors and Trotters manager Phil Parkinson was given his marching orders. 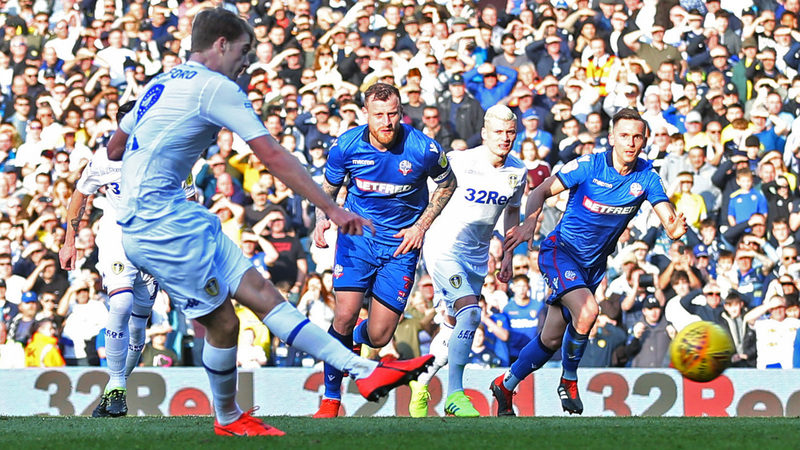 With 12 minutes remaining, Bamford went through on goal, but he couldn’t beat Matthews from a narrow angle, before Ayling found substitute Stuart Dallas in the box as the Whites searched for a third, but once more Matthews saved. In stoppage time, Sammy Ameobi’s fine strike from 30 yards went just millimetres wide of the post and Bamford couldn’t beat Matthews when found well placed by Alioski, with the Whites holding on for a valuable three points.